Starting Strong and Westbrook Children’s Project have been co-facilitating the Early Childhood Learning series together since last year. Each year a series of workshops are offered on the second Tuesday of each month from January until May. The program and workshops are designed to offer high quality educational workshops in the fields of early childhood development and are targeted for childcare providers who are below step 3 on the QRIS ratings system and may not have as much funding for professional development. Each workshop is free to providers who attend and participants receive a high quality educational workshop that provides tools they can bring back to their institute. Not only is each workshop taught by a highly qualified professional in early child care, but professional contact hours are awarded to each student who attends. In turn, the hours can be put towards required yearly training hours for an Early Childcare teacher or Family Provider. In January the first workshop took place. The education provided was on Social-Emotional Development and the well-being of a child at school. 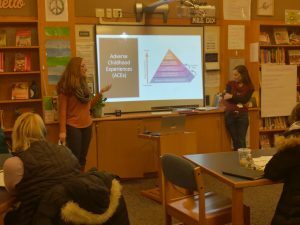 The workshop material was largely focused on Adverse Childhood Experiences or ACEs, and coping mechanisms that suit each child. 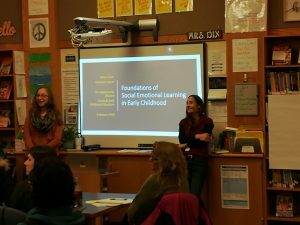 It was taught by two professionals in the field of early childhood education, Darshana Spach, Head Start Education and Disabilities Coach, and Debra Flynn, Head Start Education Lead. 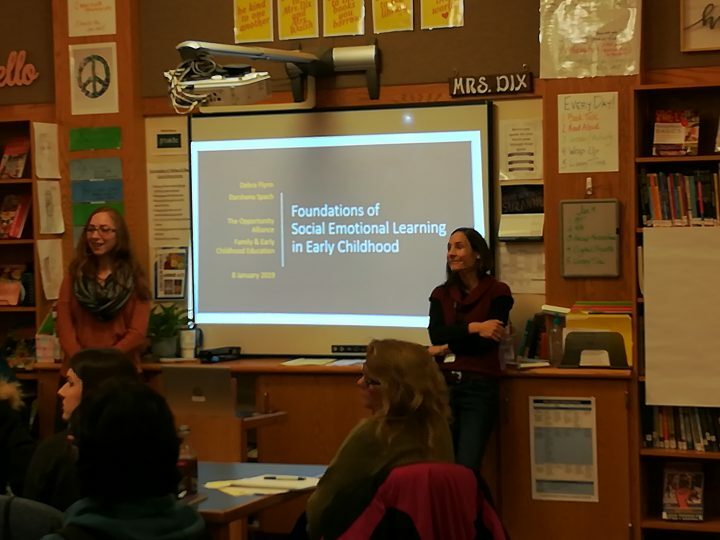 The workshop aimed to raise understanding, awareness and strategies as they related to early childhood education and w here and how ACEs may affect the children they serve. The workshop provided materials to take and group activities to build out from. February’s workshop was set for the 12th but some nasty weather forced a reschedule. Now on February 26th, the second workshop is set to teach workshop attendees about the Zones of Regulation. Taught by Holly St Onge MS, OTR/L from the Pediatric Development Center, the workshop is designed to help attendees understand sensory processing and self-regulation for their children. The attendees will receive classroom strategies and regulation tools to help them recognize a student’s “zone” and manage their feelings to return to a healthy place. Future workshops include math and science in March, diversity in April, and learning in and from nature in May. 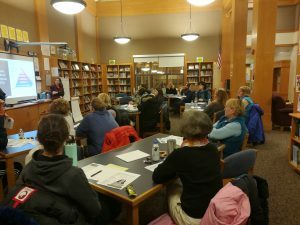 Each workshop will continue to be facilitated by highly qualified professionals who have been endorsed by the MaineAEYC, Maine Roads to Quality or The Opportunity Alliance. If you’re interested in joining one of these workshop please contact Justin Purvis at jpurvis@portlandconnected.org, or by phone at 207-874-1000, to be placed on RSVP list. The workshops take place at the Westbrook Middle School Library from 6:00-8:00 PM on the second Tuesday of the month.